Want to help make your maintenance business more efficient by creating an app? You’ve come to the right place. 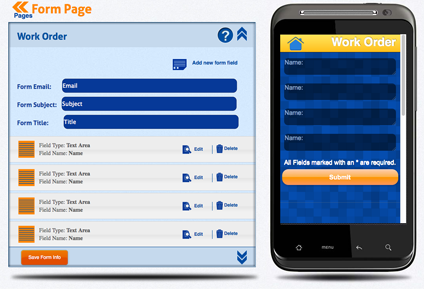 As the number one Android App Builder in the world, appsbar.com can help you build your app as a Google Play app, an HTML 5 app, a Facebook App or as a website widget in no time at all. 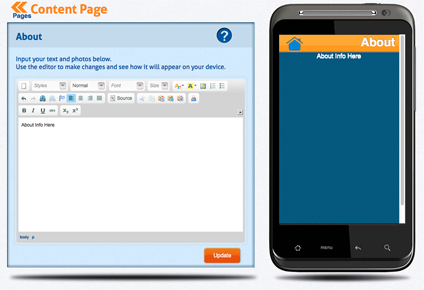 Your friends with Blackberries and Windows Phone will be able to view your HTML5 app as a Blackberry App and Windows Phone App. 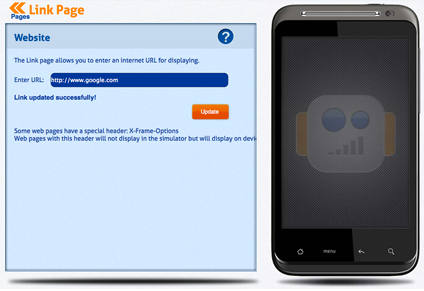 The Contact Page is required and let’s everyone know exactly how to get in touch with you. Simply provide the physical address, phone, email, and website information. If you have a special number for emergencies or an 800 number this is the place to display them. 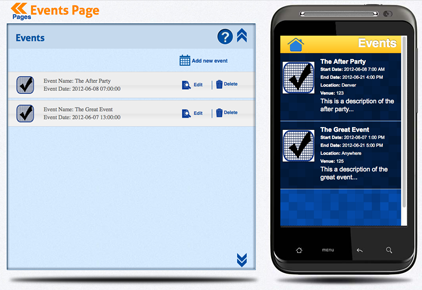 The Events Page is a great way for you to let your app users know about any upcoming events that you have planned. Just plug in the Event date and time and it will be displayed in this page for your users to see!! 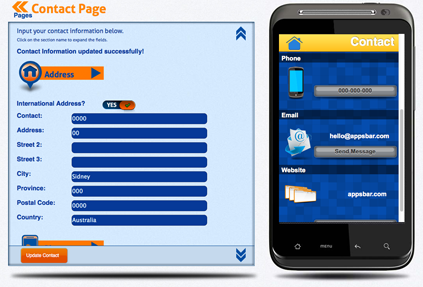 The Website Page allows you to include your website within the app so that the user can access all of the info you provide there. 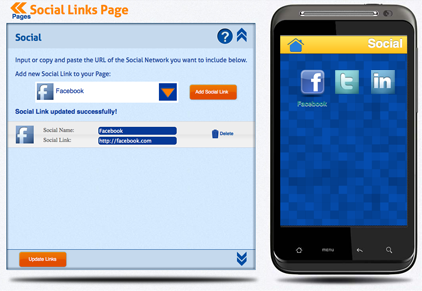 You spent time, money, and effort to make your site so let your app users check it out right here. The Work Order Page lets you create a form or forms for the user to fill out that can be sent to you via an email address that you provide when creating the page. The user can fill this out to submit a job to you. You can create multiple forms for different kinds of jobs. 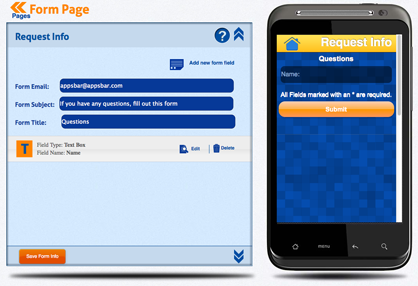 The Request Info Page lets you create a form or forms for the user to fill out that can be sent to you via an email address that you provide when creating the page. The user can fill this out asking any questions they may have for you. You can use this form to ask questions, create drop downs menus for choices, or let users ask you a question about anything they would like. 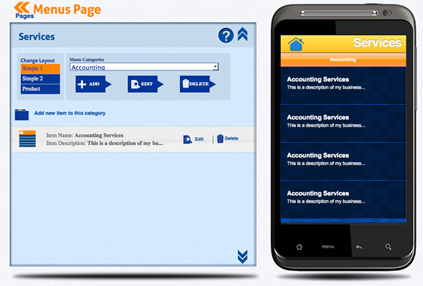 The Services Page is your opportunity to list all of the services your company provides. You can include descriptions of each service you provide, the price of the service and an image. From changing oil to building an addition, this is the place to let everyone know what it is you can do for them. The About Page is pretty simple – it gives you the ability to use text, images or a combination of both to tell people about your company, the company’s history, and any other relevant information. Let people know about how you got started, if you are a member of a professional association, or if your company is a third generation family owned business.